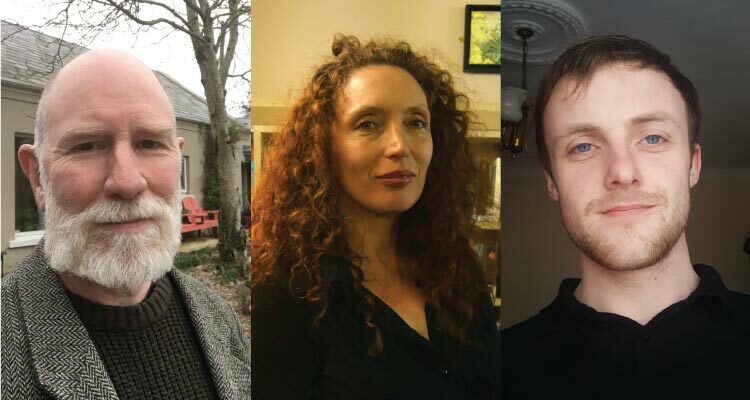 Highlighting emerging talent in poetry and fiction, The New Writing Showcase features readers and winners from the popular Over the Edge Literary Series in Galway and the 2019 Cúirt New Writing Prize. This event is a firm favourite amongst Cúirt audiences, and one not to be missed. Winners of the 2019 Cúirt New Writing Prize (Poetry: Jeremy Haworth & Short Fiction: Shannon Savvas) will join the showcase line-up to read their winning entries. John D. Kelly lives in Co. Fermanagh. Since he began writing creatively in 2011, his work has been commended in many competitions and published in various literary publications. He was highly commended in the Patrick Kavanagh Poetry Award 2016, awarded joint silver in the International Dermot Healy Poetry Competition in both 2015 and 2014, and won first prize in Hungry Hill ‘Poets Meet Painters’ 2014, amongst other awards. John was a Featured Reader at the February 2018 Over The Edge: Open Reading. Jessamine O’Connor has won the iYeats, the Francis Ledwidge, and the Poetry Ireland Butlers Café poetry competitions, and was shortlisted for the Hennessy, Over The Edge, Cúirt New Writing, Galway Hospital Poems For Patience, Bradshaw Books, Leaf Books and Red Line Book Festival competitions. She is currently promoting her fifth chapbook Pact, and her first full collection of poems is coming out with Salmon in early 2020. Jessamine was a Featured Reader at the May 2018 Over The Edge: Open Reading. Daniel McBrearty is a writer of both poetry and prose. The Donegal native’s poetry has been published in A New Ulster, and his fiction was chosen as the winner in the Ulster Male category in the Hot Press Write Here Write Now Competition. A student of creative writing at NUI Galway, Danny’s writing deals with being young in an irrational world. Danny was a Featured Reader at the December 2018 Over The Edge: Open Reading. With thanks to our esteemed judges Thomas McCarthy (poetry) and Antony Farrell (short fiction). Thank you for your insights, careful deliberations and expert opinions.